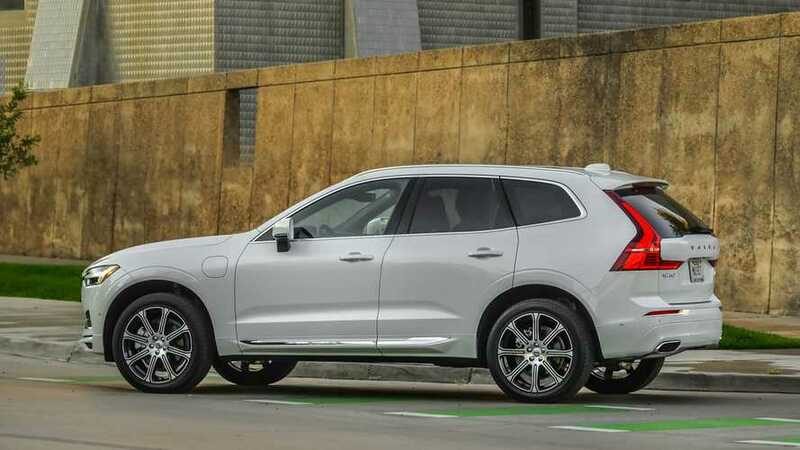 With power, luxurious appointments, and technology to spare, the revised Volvo XC60 is a crossover that should offer a hearty challenge to the German competitors that really run this premium, plug-in hybrid segment. But the top-level offering – the “T8” badged plug-in hybrid variant – presents a wholly different case than the T6-engined car. At once both “performance” and “green” go together on the XC60 T8 over its larger cousin. Damn, that’s quick. Those of you who may not have already heard about Volvo’s T8 powertrain, buckle up for complexity. A turbocharged and supercharged 2.0-liter four-cylinder engine is paired with a rear-mounted electric motor, for a total system output of 400 horsepower and 472 pound-feet of torque. The only thing that even comes close to that output in the segment is the Porsche Macan Turbo, which costs $20,000 more and is still down on torque by 66 lb-ft. The attendant 0-60-mile-per-hour time for the XC60 is just 4.9 seconds, which is slower than that Macan’s 4.6 seconds, but exceptionally quick in the larger view. Plus, with the Volvo, you get that fast-twitch electric motor reaction when you step on the right pedal, making this feel a little bit more special than a CUV has the right to. Electricity you can use. The electrification of the powertrain does more than just add go-fast ability, of course. 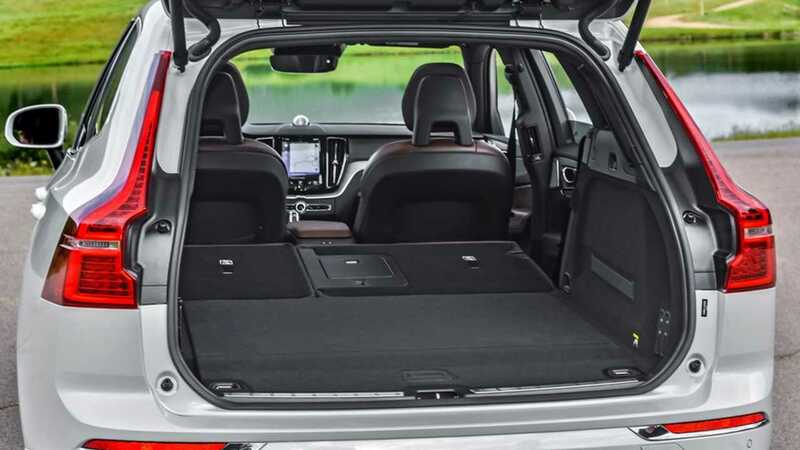 Volvo has increased the capacity of the battery pack versus the XC90 T8, up to 10.4 kilowatt hours from 9.2 (all T8 models will see this change for the ’18 model year). There are no official EPA numbers to report, but we estimate the bigger battery should be good for 18-20 miles of real world/electric driving range. No Tesla Model X, we grant you, but still a useful distance for short commutes, and enough to bolster the overall efficiency of the vehicle over the long haul. Understated and elegant. The Volvo looks exactly right from the outside, with big 20-inch wheels at the corners and a shapely bodyside. The interior is light and bright, with the “ribbon” of trim that runs along the dash just exactly the kind of design element you’d hope for from a Swedish vehicle. Touch points almost universally feel as good as they look. The ride and drive experience conforms to that aesthetic as well, offering a sanguine space for conversation, music appreciation, or just silently drinking in the Colorado landscapes that whoosh by. Nothing really competes. If you want this combination of things – performance and plug-in in a extended range wagon set-up, Volvo is really the only game in town. The Macan isn’t sweating. The Volvo is fast, and it doesn’t handle badly by any stretch of the imagination, but someone looking for pure performance...and who is willing to discard the plug, there are better options. The buyer with a plug as a top priority will be drawn to it, but perhaps not the wider market in general. The Jaguar F-Pace and Alfa Romeo Stelvio have every bit of brio possessed by the XC60, and then some, even if they are down on power a bit. And while the Audi SQ5 is similarly outgunned by the plug-in T8, the German’s do-everything-well character is hard to beat at around this price point. Who is it for? My conclusion about the XC60 T6 was, and is, that it’ll compete fiercely and well in the fat middle part of the luxury crossover segment. While this the plug-in version is clearly more entertaining to drive, it’s bifurcated character would seem to split the difference between EV buyers, and true driving enthusiasts who may be giving the tiniest wink to practicality buy shopping for a lifted wagon. This may be a cult car, eventually, but a surprise hit? We'll have to see.